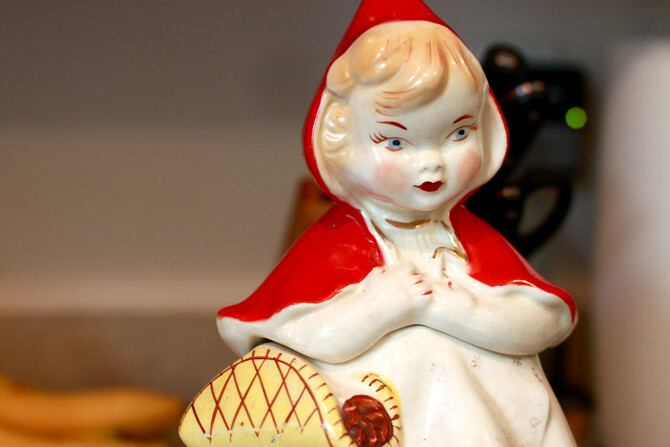 Little Red Riding Hood now graces our counter. 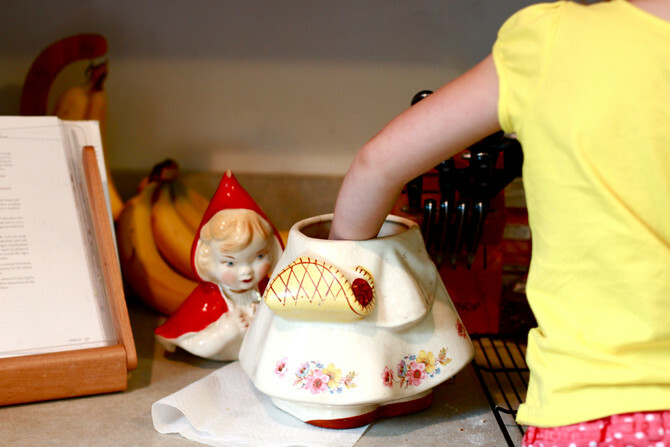 Little Red graced my counter as a child. 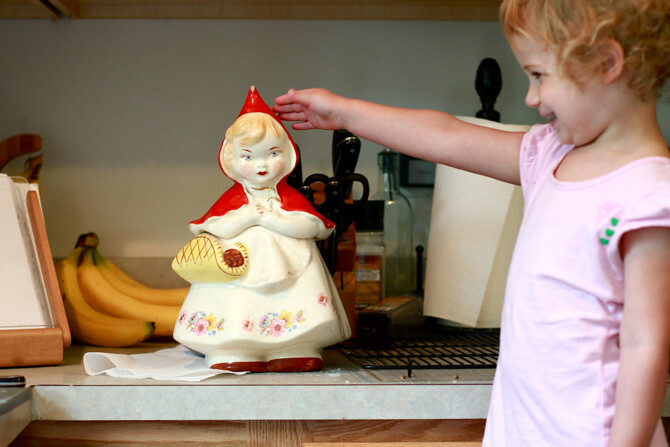 And Little Red graced my mom's counter as a child. 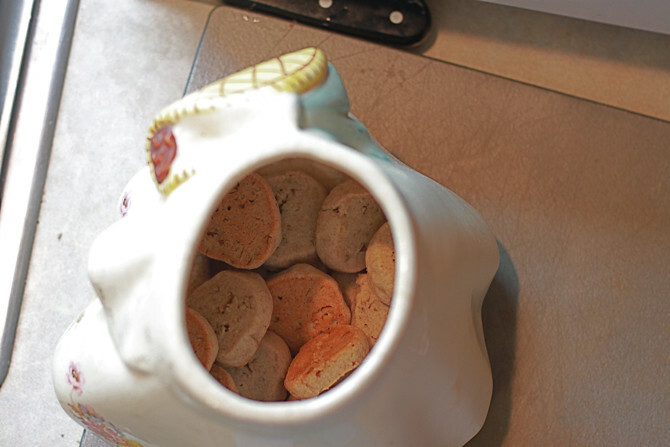 Interestingly, neither my mother or hers actually kept cookies in her! She was purely for show and cookies were stored else where. Every time I see her from the living room I have a flash back to the yellow gingham curtains, dark cabinets, and soaking fruit cake jar by the corner counter from my childhood home in the south. And now Little Red has a new story and new life amongst thoroughly thrilled children. 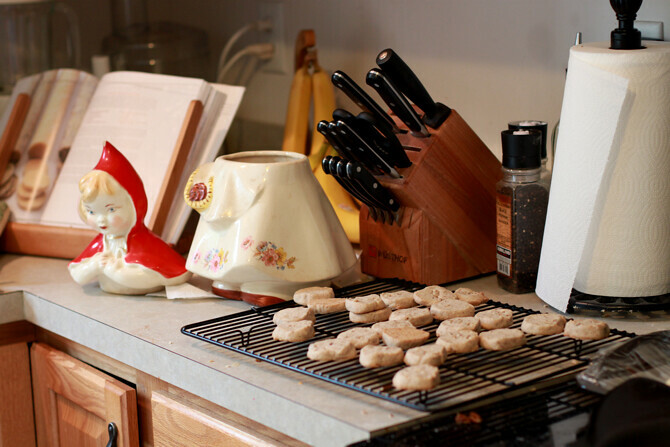 Little Red is from the 40s, from when my grandmother married and began her collection of housewares. She has been passed through a long line of admirers to me. And my mom knows that, since I always mention I want it put in her will for me. (And the little crank music box??) Most gratefully, she's letting me love and use her now. I reassured mom that Little Red would always be filled! Ane tonight she is for the first time ever! Icebox cookies by request fill her tummy and tonight for family night, ours, too.